Comfort and tranquility in harmony with the surroundings. Located in the town of Puerto Pirámides, the only locality within Nature Reserve of Peninsula Valdes, Argentine Patagonia, World Heritage Site. 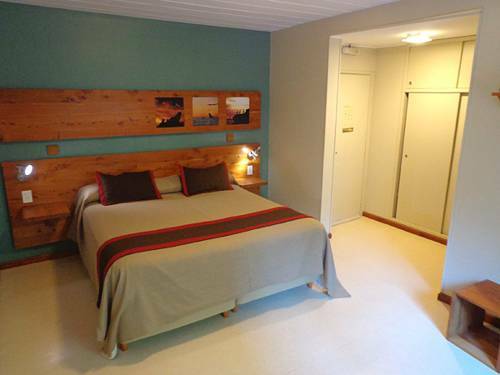 Del Nomade Eco Friendly Hotel has 8 double capacity rooms, 4 on the ground floor with a small private terrace. 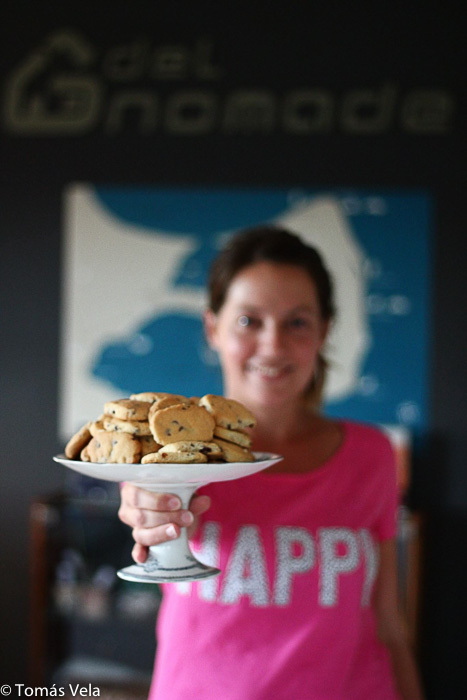 There is a breakfast and community space on each floor. In a conscious effort to minimize environmental impact we use solar energy and water recycling technologies. Solar panels assist in the hotel’s heating system and for hot water. Eco Lodge concept. 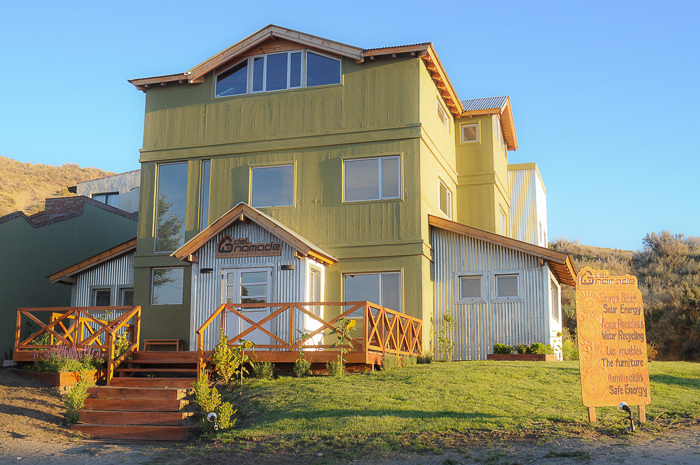 Undoubtedly the best facilities and service of Puerto Piramides. We offer special rates for groups and for 2 or more nights stays. 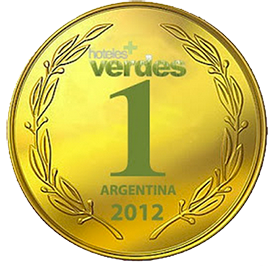 Del Nomade Eco Friendly Hotel was awarded with the first prize in the first contest of Green Hotels in Argentina, a recognition that excites us and puts us at the forefront of something that in the future we hope to be common. The conscious use of nonrenewable resources and the use of sustainable technologies puts us in a place of respect for the planet. The attempt to minimize the impact that mankind generates daily, is everyone’s responsibility. We were recognized by the careful attention to the host for the fourth consecutive year, the award Certificate of Excellence TripAdvisor. 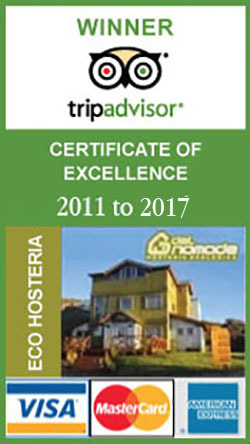 In Del Nomade Eco Hotel and De Luna Guest House, the accommodation price changes significantly according to the months, and the occupancy rates. 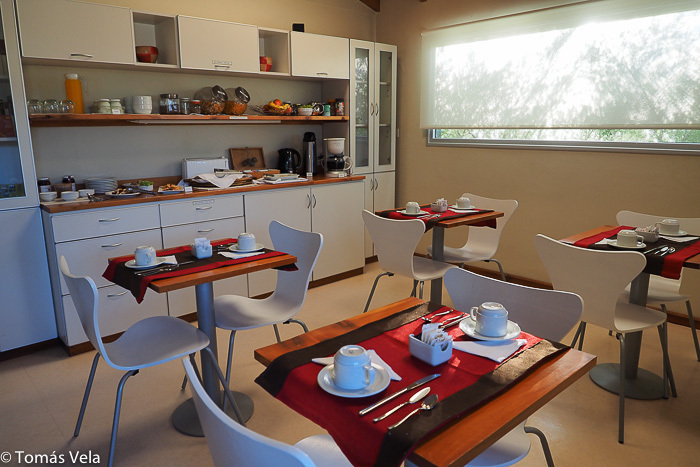 In the form of a breakfast buffet you will find a rich selection of homemade and traditional Argentinian delicacies. Of course, we are available to you at any time.